paymentthankyou - NUBiABETH Photography: Photography Austin, TX and surrounding areas; Head shots and Portraits. Your photo session has been booked. Your model release form to e-sign will arrive in your inbox within 24 hours. Looking forward to seeing you! 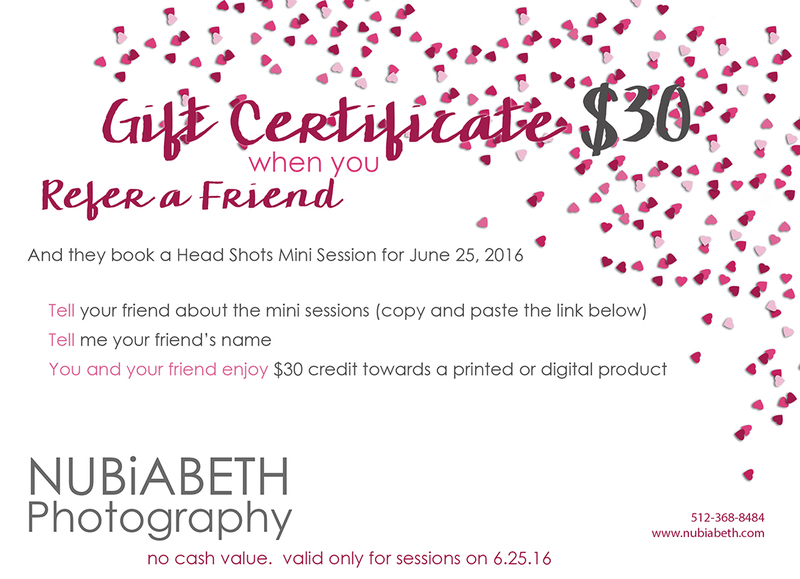 Refer a friend and both receive $30 Gift Certificate for printed or digital products.